Did you put your boat away, or do you plan to go out for more fishing in November? 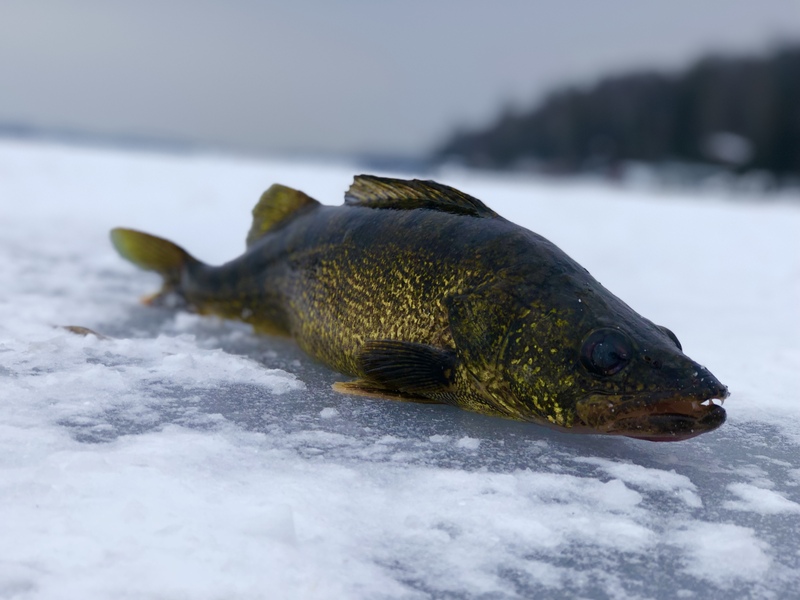 I want to go out one more time looking for those jumbo perch. I find it a little more difficult to locate them this year. But they are out there! The weather forecast the next two weeks, day time and night time temperatures are below average. Starting Thursday, every night temperatures will be on the minus side. This will bring water temperatures further down. 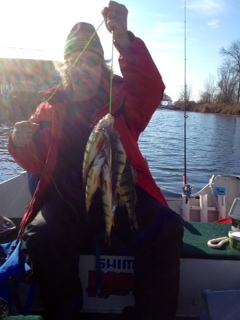 There is a good possibility perch will start schooling up, and maybe will move into shallower water. My boat stays out all winter due to the Niagara not freezing. As far as the reports show, they've already been bunched up for a while now. I'm going a few times in the next couple of weeks. November is my favorite time to go perchin, always. 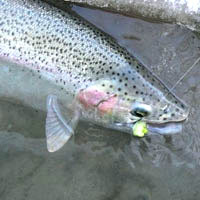 We were out yesterday and found 45 keepers (over 10") in 16 fow on the Keswick side of the bay. We probably only threw back a dozen fish under 10". 4 nice pike also. Live minnows on small jig heads were the key. If you don't have live minnows don't bother going out. We went through 4 scoops between 3 guys in about 4 hours. Too cold now to be messing around on the big water with my inflatable, time to rotate it to the back of the garage and get the ice gear ready. if anyone has a open seat for some perchin shoot me a PM! x2 on artificials for perch. 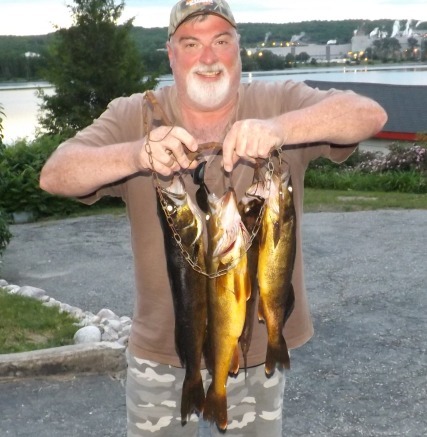 Got out yesterday for an hour, managed a few jumbos for an evening fish fry. Had a pike snap me off on my perch drop shot too. Got one tank jumbo that was 14.5" and 1 lb 9oz, would have been a new pb if she waited a few months to bite. Usually don't like to keep the big spawners but I was looking for a feed. 1st time posting a pic, hope it works.. I was in 20-25' and there was a large group of boats on Keswick side in 15' or so. I think they're scattered a bit still but starting to move shallow. Unfortunately I put my boat in storage. I try to keep it out as long as I can, but weather has been terrible lately so I threw in the towel. 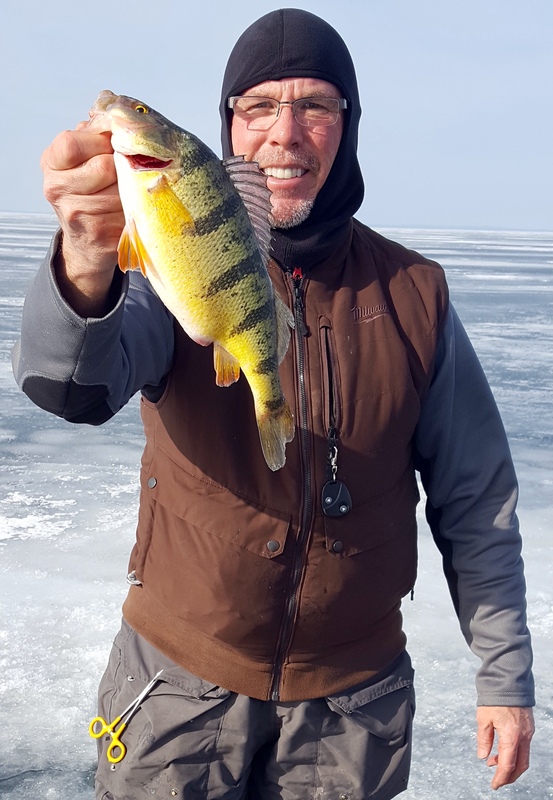 Some rewarding perch fishing in the fall. I might give it a go from shore. Tank of a perch, the ones next to it really put it in perspective. You can launch at youngs harbor. Natural laynch but parking is $25 for the day. There's king dragon marina up the road. $10-15 to launch. Went out yesterday and it was a tough go. The weatherman said one thing about the wind but the actual wind was something else. The only other boat on the water in Cook's Bay that I saw was the cop boat. The perch weren't cooperating all that much.